Masoala Forest Lodge offers 3, 4, 7, 10 and 11-night packages. 3 and 10 night tours always begin on a Sunday. 4 and 11 night tours always begin on a Wednesday. 7 night tours may begin on either Sunday or Wednesday. Except for the first day, which includes the Nosy Mangabe visit, the program is kept very flexible and our guests can choose daily from our offers. Each reservation includes a private guide who is available 24/7 and will assist with planning and selecting your activities. The sample itinerary below will give you an idea how your days in Masoala could be spent. For more detailed information about our available excursions, please download the MFL Activity Guide using the link at the end of this page. Your Masoala Adventure fly-in package starts in Antananarivo. You are welcomed by your pilot at the charter company’s reception. With no check-in and wasted time, this is a tranquil and hassle-free start to your adventure. 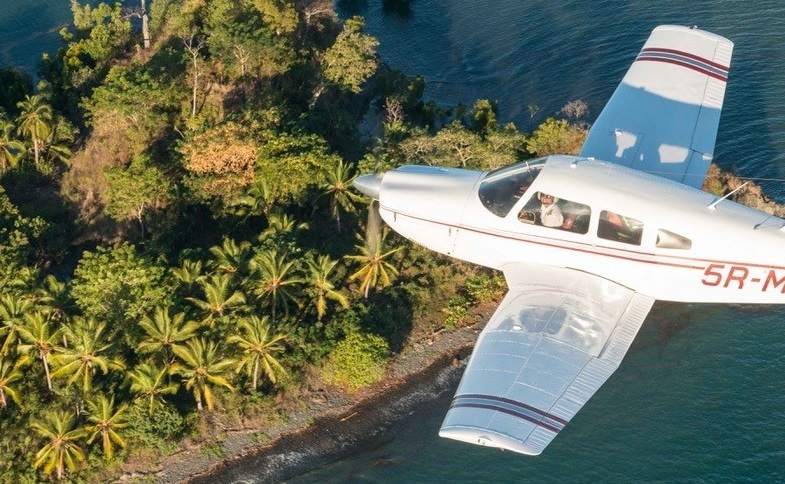 After an approximately 1,5 hour flight with magnificent views of the rugged hills and rainforests of eastern Madagascar, you descend over Antongil Bay and land at the airport of Maroantsetra. You are met by our staff on arrival and transferred to our private boat for the short ride to the island of Nosy Mangabe. Once ashore, explore the densely forested island with your guide on a network of trails providing a chance to spot Black and White-ruffed lemurs, White-fronted Brown lemurs, and leaf-tailed geckos. After a picnic lunch on the beach, you embark on a second boat trip across Antongil Bay to the Masoala Forest Lodge. During this approximately two hour journey, enjoy the dramatic rainforest backdrop along with the possibilities of dolphin sightings and, seasonally, whale sightings (July-October). Once you have settled comfortably into your bungalow, meet the other guests for sundowners around a fire on the beach. After dinner, your guide meets you to discuss possible excursions for day 2. Awaken early for coffee and breakfast on the sea deck before setting off on the day’s adventure. 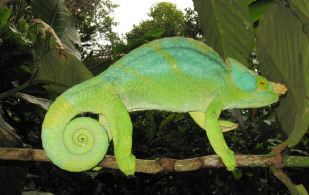 Today, take a quick boat ride up the coast to the primary rainforest in search of the Red-ruffed lemurs, Dwarf chameleons, Helmet Vangas, and other wildlife endemic to the forest. After some hours in the dense forest with the giant hardwoods and majestic tree ferns, return to camp by boat for a well-earned lunch and rest. Your afternoon activities could range from snorkelling on the nearby, highly diverse coral reefs to a sunset paddle out to a scenic outlook (and the chance of a close encounter with Green Turtles) to relaxing in a hammock underneath our beach-front palm trees. After dinner, a guided night walk provides the only opportunity to spot some of the secretive nocturnal wildlife, such as Dwarf and Mouse lemurs, Leaf-tailed geckos, or even the elusive Aye-Aye. A relaxed start to the day and breakfast on the sea deck. Depart on a guided walk through the coastal forest, in search of more birds, mammals and reptiles. After a couple of hours walk, take a welcome swim in the crystal-clear water of the Tampolo Cascades at the base of the forested mountains. On your way back to the lodge, our staff paddles you down the serene, shady Tampolo river in a traditional dugout canoe. In the afternoon, take a short walk along the coast to the nearest village for our “Meet the People” excursion. Start with a visit to the village school that is supported by the lodge. 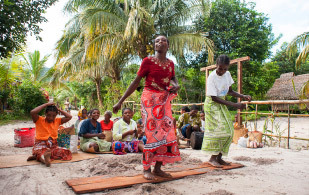 Continue with a guided tour of Ambodiforaha village for a window into local rural life followed by a traditional song and dance performance by the ladies of the village. If interested, you can bring some small money with you to purchase handicrafts and locally-produced spices. 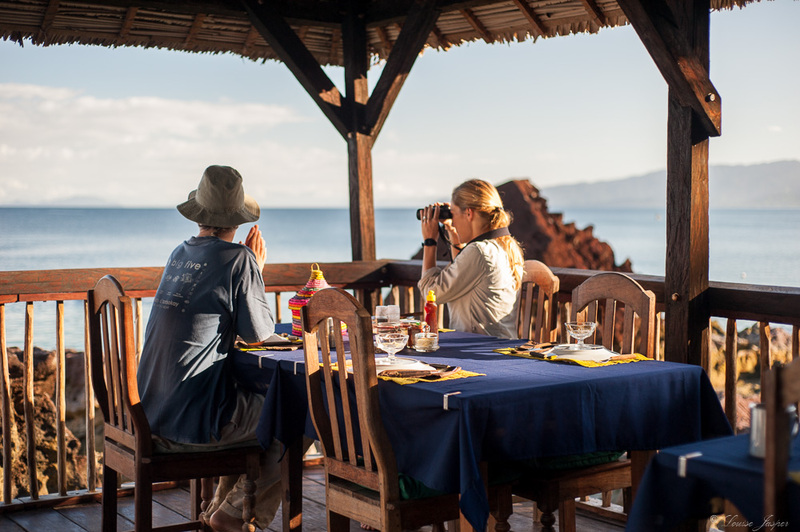 Continue your Malagasy cultural education back at the lodge with delicious traditional Malagasy dishes served for dinner. Breakfast on the sea deck. Traverse the unusual rock formations of Tampolo point by kayak. 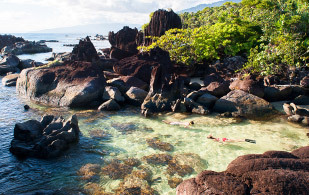 Stop for a swim on the beach at the “Sacred Island” and then continue your paddle into a pristine mangrove and forested river, with the chance of spotting Blue-spotted stingrays in the shallow water or perhaps the Lesser Bamboo lemurs crossing the river. Paddle back to the lodge for lunch and spend another afternoon lounging in our beach hammocks or exploring the lodge’s various reefs. Sundowners around the fire on the beach and dinner in the lodge. Enjoy an early last Breakfast on the sea deck. Board the boat for your return voyage to Maroantsetra followed by the car transfer to the airport where your charter plane awaits you. Enjoy the stunning view of the Masoala peninsula and Nosy Mangabe on the return to Antananarivo to either catch your international flight or continue on to the next stop of your Madagascar adventure! The above itinerary is just an example of how you can spend your days at our remote resort. Your guide and our staff will help you build the perfect program based on your interests and the weather on your arrival.